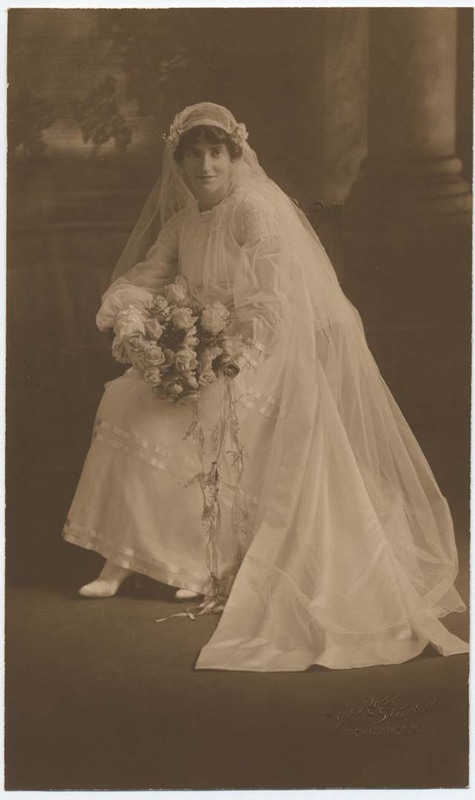 Edna Maine Spooner’s wedding dress is an example of the creative possibilities of home sewing. In addition to changing the sleeves, she added a train, a sash and ribbons. Historic Textile and Costume Collection, University of Rhode Island. Donor: Lucile Hewitt Spooner Votta.